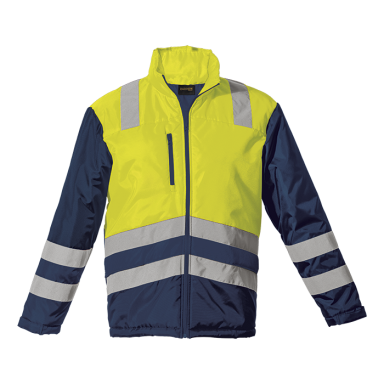 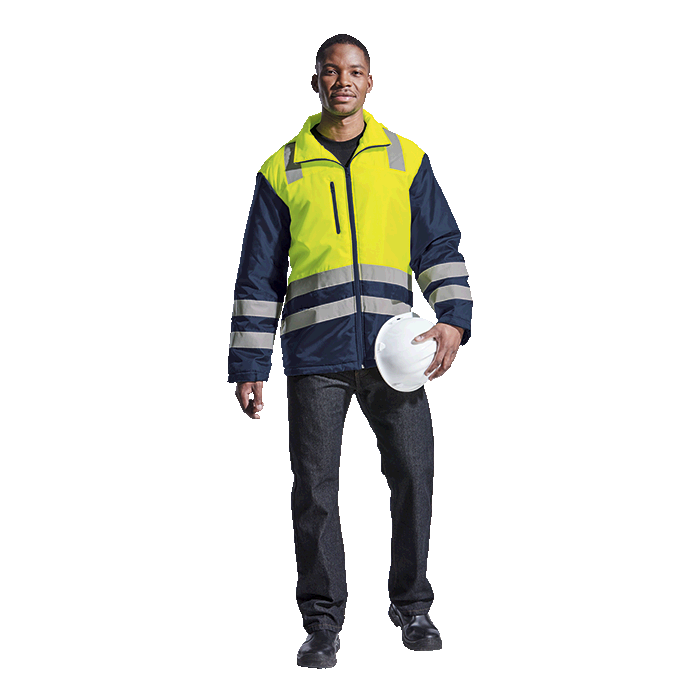 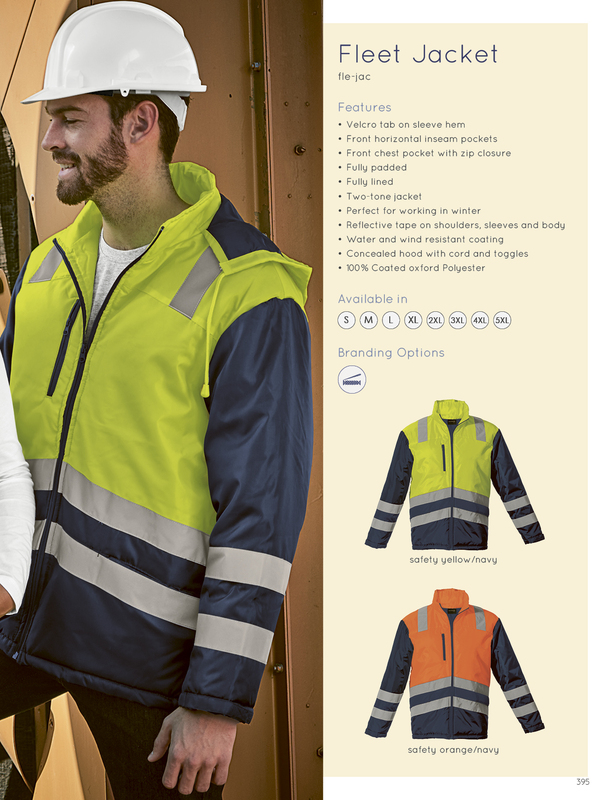 This fully padded and fully lined two-tone jacket is perfect for working in winter. 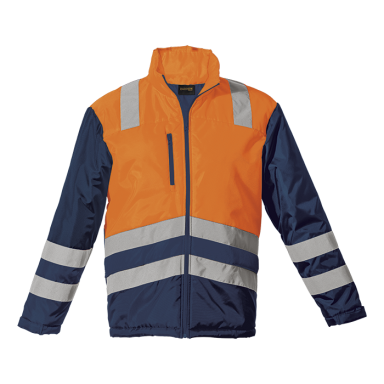 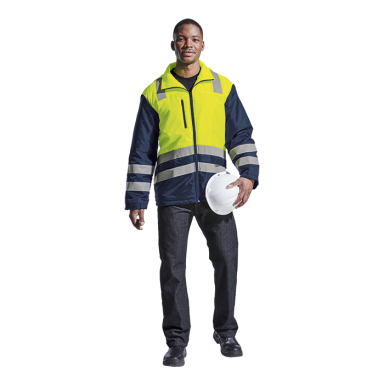 Features include reflective tape on shoulders, sleeves and body, velcro tab at sleeve hem, front chest pocket with zip closure and concealed hood with cord and toggles. 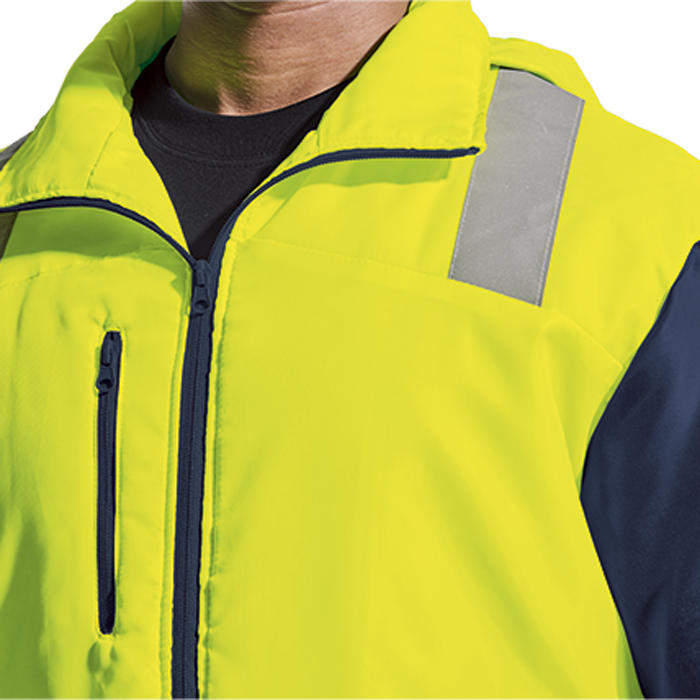 The front yoke has been angled for ample branding space.